Once a mainstay in every man’s grooming kit, shaving brushes waned in popularity with the advent of canned foam. In our subscription-based video on demand society, we want things fast and we want them now. Presumably, this includes the lather of our shaving foam. If you’ve read our guides on shaving soaps and creams, you will know now that the best lathers for shaving don’t come from foam or gel. However, even if you refused to turn to traditional soap or cream, did you know that you can use a shaving brush with foam? In this series of guides, we will walk you through the complex world of shaving brushes. Surprisingly, there are many varieties with different price tags. While there are numerous grades of badger brushes, there are also vegan friendly or even natural and cruelty free solutions. What Are The Different Shaving Brush Materials? Indeed, these 18th-Century French inventions are effective at creating a thick lather from even the smallest amount of foam or cream. Therefore, just a small investment in a brush can end up saving you money by getting more bang for your buck. What Are Shaving Brushes & Why Do I Need One? 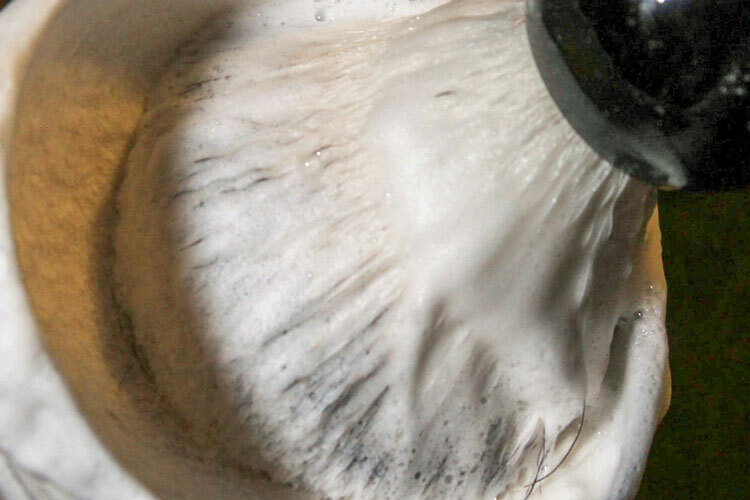 Overall, brushes are used for lathering up shaving soap and cream before applying it to your face. In fact, there’s no real substitute for a brush as your hands will never be able to effectively create that lather. Although enthusiasts have often joked about using their girlfriend’s make-up brushes, we wouldn’t recommend this in practice. As we explained in the opening of this article, you can even use a shaving brush with foam or gel. Not only does this improve the shaving experience but it maximises the foam and creates the best possible lather. Generally, shaving brushes come in various shapes, sizes and bristle materials. In addition to the hairs themselves, even the handles can vary drastically in style and materials.